Feondor’s leadership team has a proven track record in direct real estate investing and shares complementary backgrounds, skills and credibility within the markets of Germany, Switzerland, Austria and the UK. We understand the market dynamics and know how to look beyond the headlines to uncover unique opportunities. Feondor’s team is fluent in English, German, French, Italian and Spanish languages. 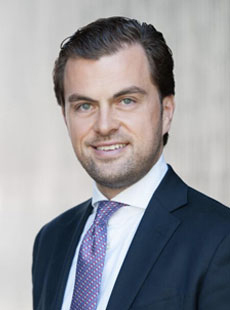 Ralph Hermann is Co-Founder and Managing Director of Feondor Asset Management GmbH and Feondor Capital Partners AG. Previously, Mr. Hermann was with UBS Wealth Management, where he headed the German Asset Management activities for the direct real estate investment business comprising separate accounts and closed ended fund products. In his role, he oversaw and directed portfolios worth € 1.3bn of assets including the management of around 400 lease engagements and 60 multifunctional assets. Before joining UBS, Mr. Hermann worked for various institutional investors such as Security Capital, Hessische Landesbank and Köllmann AG, where he managed several large-scale real estate development and construction projects including subsequent asset management tasks. Prior to that, Mr. Hermann structured and closed the sale of his family run business. Mr. Hermann graduated from the Kunstakademie Stuttgart with a Master in Architecture and Design and earned a postgraduate degree as a Business Engineer from the University of Biberach. Mr. Hermann is a member of the Royal Institution of Charted Surveyors and is fluent in German, English and French. Vivian Strosek is Co-Founder and Managing Director of Feondor Asset Management GmbH and Feondor Capital Partners AG. Prior to that, Mr. Strosek worked for several years with UBS Wealth Management where he was engaged principally in the acquisition, structuring and due diligence activities for direct real estate transactions in excess of € 1bn worth of assets for the global Ultra High Net Worth clientele. Mr. Strosek was further involved in the client relationship building and mandate acquisition activities in Europe and led the creation and maintenance of management infrastructure tools and databases. 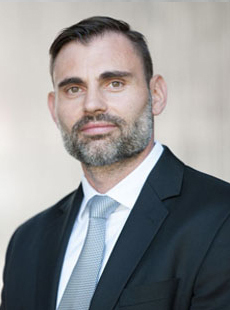 Mr. Strosek is actively involved in various organizations, including being co-founder of the entrepreneurs organization EYES International and being a member of the Urban Land Institute, Switzerland. Mr. Strosek received a BSc in Economics from University College in London (UCL) as well as an MBA in Economics from the Universidad Pompeu Fabra (UPF) in Barcelona. Mr. Strosek is a Fellow of the Royal Institution of Charted Surveyors and is fluent in German, English and French. 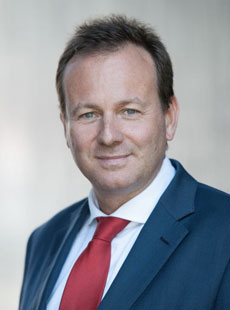 Robert Wagner is Managing Director of Feondor Asset Management GmbH. Before joining Feondor in 2009, Mr. Wagner spent several years at Babcock & Brown, where he was responsible for the asset management of residential portfolios worth over €800m and oversaw the creation and establishment of databases and sophisticated Cash Flow models in order to direct, assess and monitor performance, accounting and cash management data and activities. Prior to that, Mr. Wagner was with PWC in Germany, where he was responsible for the restructuring of various positions for real estate stock listed companies totaling over 65,000 residential units. Mr. Wagner holds a Master in Business Engineering from the University of Zittau/Görlitz and is fluent in German and English.